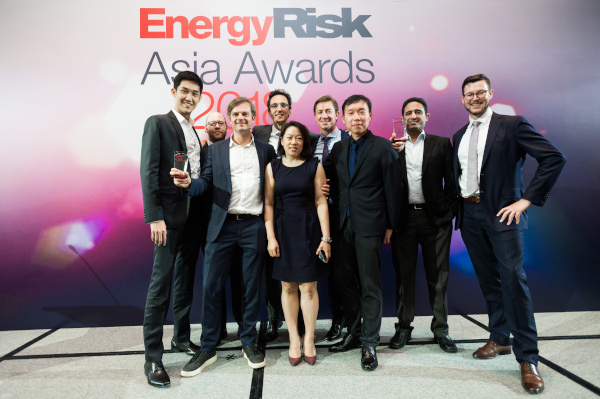 It is an honor to share with you the great news that our experts in global energy management solutions in Asia have been named “Corporate Risk Manager of the Year” and "Electricity House of the Year” for 2018. These distinctions have been attributed by the Jury of Energy Risk, a reference review in commodities, trading and risk management, that organizes yearly awards across Europe, the US, and Asia. Each year, the competition gathers major energy markets actors among other including financial institutions, utilities and trading houses, across the globe. Since the launch of our activities in APAC in 2012, our teams have been continuously growing ENGIE’s business in the region while leveraging their trading experience acquired throughout Europe’s market liberalization to support Asian countries undergoing the same process. This year, Energy Risk Jury noted the steady growth of ENGIE’s power activities in markets like Australia or New Zealand, and Singapore in which we are now one of the six official market makers on first power futures scheme. The launch of our business in emissions in China was also part of our successful developments throughout 2018. Another key highlight of the year was our boost to LNG midstream activities in the region, capitalizing on our physical and financial LNG expertise to provide clients with first-class solutions protected by the highest standards in risk management. These two awards add to ENGIE's trophy cabinet and reinforce the Group's position as a world leader.